In September 2017, Thomas E. Gay joined the law firm with Julianne E. Murray and Ronald D. Phillips, Jr. forming the Law Offices of Murray, Phillips & Gay. Mr. Gay was previously a partner with the law firm of Stumpf, Vickers & Sandy, P.A. in Georgetown, Delaware from 1999 to 2017. Mr. Gay is the frequently called the best family lawyer in Southern Delaware. In September 2017, Thomas E. Gay joined the law firm with Julianne E. Murray and Ronald D. Phillips, Jr. forming the Law Offices of Murray, Phillips & Gay. Mr. 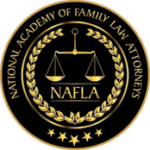 Gay has been a guest speaker at “Fundamentals of Family Law,” “Custody Evaluations for the Private Practitioner,” “Property Division in the Family Court,” “Divorce Law 101-Obtaining the Best Settlement for Your Client in Delaware,” to name a few. Mr. Gay has been selected as one of the Top Delaware Family Law/Divorce attorneys in Delaware Today magazine. Mr. Gay was admitted to the State of Maine Bar in 1992 and the Delaware Bar in 1994. He is admitted to practice before the Delaware Supreme Court and the Supreme Court of the United States. Thomas Gay earned his B.S. in Biology in 1987 at the University of Delaware in Newark, DE. He attended law school at Widener University School of Law in Wilmington, DE and graduated with his J.D. in 1991. During law school, he participated in the Family Law Clinic-Delaware Volunteer Legal Services. Mr. Gay worked for the State of Delaware, Family Court, Kent County as a law clerk for The Honorable William N. Nicholas and The Honorable William J. Walls from 1992 until 1993 when he joined Stumpf, Vickers & Sandy, P.A. Thomas Gay is a long-standing, active member of the Terry Carey American Inns of Court. He is a member of the Delaware State Bar Association, the Maine State Bar Association, and the American Bar Association. 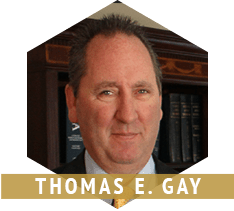 Family Law – Thomas Gay primarily limits his practice to Family Law, also known as Domestic Relations Law or Divorce Law. Mr. Gay has been primarily engaged in Family Law representation including child custody law since being admitted to the Delaware Bar in 1994. Mr. Gay has represented clients in all three counties of the State of Delaware yet the majority of his legal representation taken place in Sussex County, Delaware. Mr. Gay has extensive trial experience in Family Court of the State of Delaware and is a zealous advocate.